For a long time, double claiming of Social Security benefits by married couples has been a way for a couple to increase the amount of benefits available to them in retirement. However, the opportunity to take advantage of this method of claiming came to an end last year as changes to federal law impacted various aspects of Social Security benefits. Through double claiming, also known as file and suspend, a higher earning spouse who reached full retirement age claimed Social Security benefits based on his own working record, thereby allowing his spouse to claim spousal benefits equal to half of his benefits. The higher earning spouse then immediately suspended his benefits, allowing the benefits to increase, before later filling again several years later. This allowed the couple to receive the added benefit of the partial spousal benefits, even if the higher earning spouse continued to work. The spouse claiming half the benefits also still had access to benefits based on her own working record at a later time, and did not lose them by claiming spousal benefits. Since the implementation of the changes, a spouse who claims and then voluntarily suspends his benefits also suspends the spousal and dependent benefits based on his earnings. In addition, if you voluntarily suspend your benefits, you cannot receive spousal benefits on another person’s record. With the elimination of file and suspend, a person who is eligible for benefits based on his working record and spousal benefits will be deemed to have filed for both benefits when he files for one, and will receive the higher of the two payments. Nevertheless, the change still takes away a chance to have hundreds of dollars more per month from couples who had planned to use this method to enhance their Social Security benefits, and therefore their monthly retirement income. There are still ways that you may boost your Social Security payments after the changes discussed above. One way to do so would be by waiting to claim your retirement benefits beyond the retirement age of 66 years old. Every year you can wait to claim your benefits, your benefits increase by eight percent, for a total of 32 percent increase by age 70. This may only be a strategy if you have other means to support yourself or will continue working while waiting to increase your benefits. If you have reached full retirement age and are receiving benefits, you can still continue working without penalty. For a couple, the couple with a lower benefit can file and claim benefits earlier, and the higher earner can delay claiming as long as possible to increase benefits. People with access to workplace retirement plans can also max out the contributions, especially if there is a company match, to ensure more funds are available for retirement. If you had anticipated taking advantage of the file and suspend method under the old rules, it may be time to restructure your retirement and estate planning. 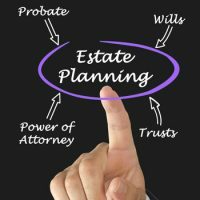 For a consultation on how to absorb these and other changes to the law that may affect your retirement, contact an experienced attorney serving The Villages, Florida at the Millhorn Elder Law Planning Group.